OOC: Let's start another post count: 3 in 48 Hours. OOC: Game information will be going out shortly, definitely tonight, just as soon as I move this scene a little further along. Please keep an eye on your message boxes and make sure you are able to receive PMs. OOC: Feel free to fill in with your orders when the food is delivered. 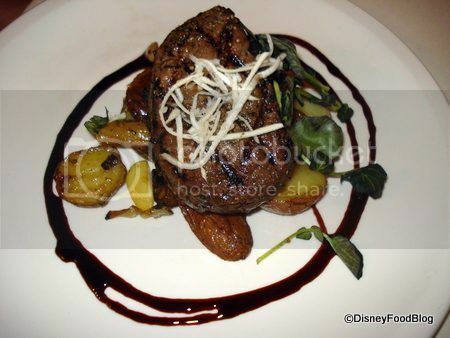 You can find the menu for Brown Derby on allears.net. I didn't want to order for everyone. Diablo taps the menu with his beak to indicate his choices to Charles. "Very good, sir," Charles replies. The wait staff have thoughtfully brought water in a bowl rather than a glass, so it's a bit easier for him to drink. He perches on the edge of the bowl dunking chunks of bread in the water and soaking them thoroughly before eating them. 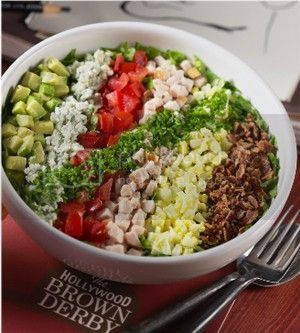 "Ok I will start with the Cobb Salad...go light on the dressing though, i am getting a little pudgy in the middle. For my entree I will have the Chared Filet of Beef...cooked medium please. Finally for dessert i will have the Chocolate Three ways...wait a minute is that Belgium Chocolate...NO?? well change that to Grapefruit Cake instead then." *Ursula looked down and decided to refrain from wine during the occasion, deciding on delectable spring water. "Hmm, I'll have to start out with the Cobb Salad, all that blabbing from the pharmacist about it has made me crave it... 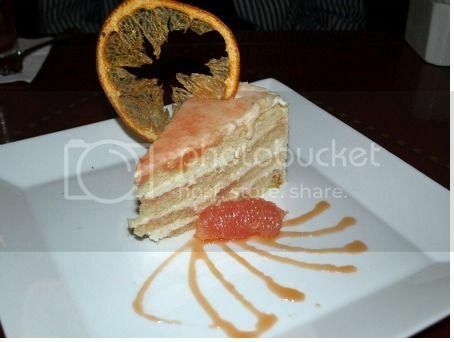 I'll then settle with the Chared Filet of Beef as an entree and the Grapefruit cake for dessert." Looking at everyone else, she was disgusted to realize that she had ordered the same thing as Dr. Doofenshmirtz. Heinz Speaks up wanting to show he can be a leader also...." Ok everyone....any ideas who our killer is? I have a few (ooc..not really), but would really like to hear others thoughts. Maybe I should try to adjust one of my Inators to an Analyzenator ---what do you think?" Belle opened her menu and tried to settle on a choice before the waiter comes to her. When he arrives, she thought she had made her final choice. "I'll have the Bibb Lettuce Salad and Duck Two"- Belle stopped herself when she immediately thought back to the Aracuan bird being served as a dish to Ariel. "On second thought, I'll have the Noodle Bowl," Belle decided, thinking that may be the safest choice considering how many detectives were a no show as of late. 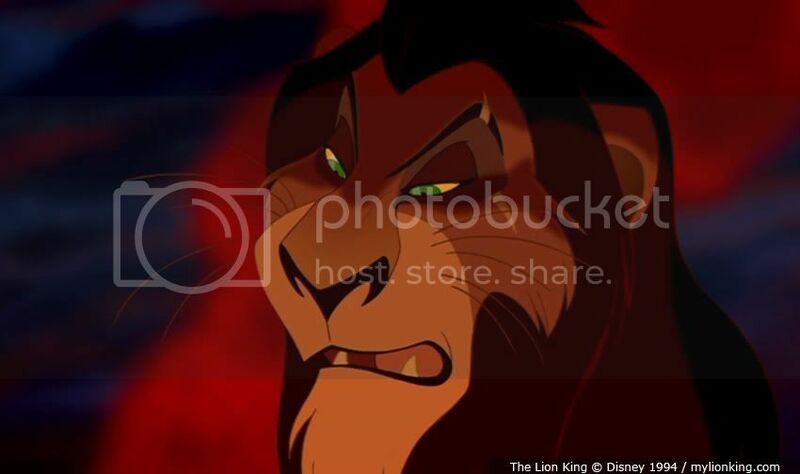 SCAR to KUZCO: " Listen Kuzco...all this investigating is fine and good, but you need to understand something. I was invited here by the mouse...you know the one...he signs your paycheck. I was invited to relax and recover from ...well that is not your concern and seeing as I can't remember it doesn't matter. Ursula and I will be all in for being part of the "team" tomorrow, but later this evening I have plans....special plans you see. I hope you will respect that and give us that time without an argument. " *Just then Charles....ahh what an interesting name...comes over and wants to take his order. * " Just give me five of the same entree as Ursula my good man...I would like my meat rare though. Do you think you can handle that?" OOC: This is where Captain Hook can ask Cheshire his question. "Ah yes, boatswain Charles, I'll have Peter Pan SEARED", says Hook without thinking. The other detectives look at him in unison. Tinker Bells flutters uncomfortably. "Ah- I mean the PAN SEARED GROUPER. ", amends Hook. The tension is lifted. "That's not to fishy is it?" Tinker Bell mutters, "A Codfish for a codfish", under her breath. Hook ignores her as best he can. But, it still stings to be called a codfish. As Charles is leaving he says that there is a famous food critic dinning at THE BROWN DERBY tonight. Hook is about to reply to that phrase when the Doctor begins the conversation about who the culprits may be and Ursula sends her notes to everyone. "My, ominous octopi, what a splendid chart with such detail. If only I wasn't a unidexter... alas." Hook adds, "Boatswain Charles mentioned a food critic, do any of you happen to think it might be our fellow VIP? Why wouldn't he be eating with us?" Before anyone can answer Hook makes one thing clear, "AND, my demented DOCTOR, we've had quite enough of your "inators" for now.... if you please. Let us stay as focused as possible!" Belle smiles and Edna fights a deep laugh. Diablo squawks at the floating pink cat. He will never get used to the idea of a cat that can fly! At least this one doesn't seem too inclined to eat birds. He hopes. He sidles away toward the edge of the table and crouches, prepared to take flight if need be. SCAR to URSULA..."Ursula dear...Did you catch any of what that pink feline just said? I swear if someone doesn't start speaking straight and stop speaking in riddles I am going to lose my temper. Hook deal with this please as you seem to have a level head on your shoulders these days." "And you little man need to watch youself." OOC: That isn't the question Cheshire is going to answer. Cheshire just answered it because, well, he's Cheshire, always in a playful mood, and the question was too good to pass up. Captain Hook can ask Cheshire a question about the game and Cheshire will answer it. Just remember that you are asking Cheshire (not me, the host), so while the Cat knows a lot, he doesn't know everything. Also, keep the Cat's personality in mind when you phrase the question. "Well, well, my fuddling Feline, you seem to know more than the rest of us. I'm wondering if we should suspect you of something. Would you perhaps know if our culprit FIRST appeared BEFORE 1980? ", Hook inquired. "Well asked my dear fellow. Though who knows how the curious cat will answer. Probably in a way that makes no sense except to himself. I guess we will just wait and see. In the meantime...CHARLES!! Where is my dinner?" OOC: Thinking about how best to phrase the answer in character. OOC* I would say over 90% considering I don't post much anywhere else....lol. OOC: Nice Wally, I just celebrated 1500 posts and that post was here too lol. *OOC: Heh. Since the question was phrased "do you know..." I was afraid Cheshire's answer was going to be "Yes, I do!" OOC: I thought about that, but decided against it as I thought it would just be too mean. :lol: Besides, I don't want the game to go so long that more players start losing interest ... and a missed question with no legitimate answer might prolong things needlessly as there really haven't been that many trivia/question opportunities as is. Tink orders the prawn appetizer knowing it will be her whole meal and that it wont really be anyone she knows( She hopes) She watches as that crazy cat pops in again and spins words in a circle. but she gets the gist of things and wonders about the hat at epcot.the one above everyones heads. everyone has been looking down for clues but not up. then she gets flustered when codfish orderes seared peter pan. Well tink will give that cod a good searing of his own if he hurts her peter! Then when that cat mentions the murderous animated female was around before 1980 she writes that down in her notebook. she looks around the table at everyone thinking about the case. except for ursula and scar making googoo eyes at each other! she shudders at the thought of those 2 together forever! And to top it off, I am just now eating for the first time all day! yay! As Stitch begins to make his order of soup and the fillet of beef, the annoying, yet mysterious voice of a certain cat appears once again at the table. Stitch wonders if the cat had reservations at all, or if he just happened to show up to try and get a free meal. While Stitch is pondering on this, Hook asks the cat a question, one of which sparks Stitch's curiosity to the point that he may just have a lead on this case. *ooc I want to guess but i dont want to die in the event I am wrong, lol. Is that so wrong?